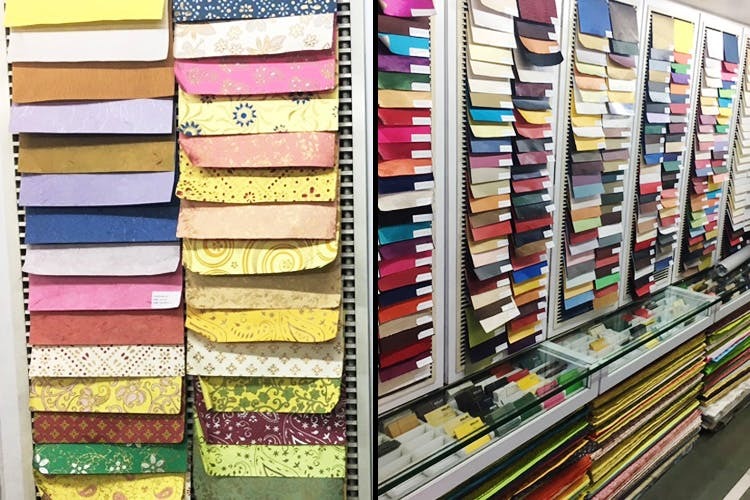 Unbeknownst to many, a lane in SoBo’s Fort district is entirely full of swatches, sheafs and sheets of paper that will turn even the strongest of stationery-lovers into jelly in the knees. A wholesale paper market, this street has shops upon shops just selling different varieties of paper. We checked out Sun Enterprises, one of the biggest and most popular shops there, and on entering it we died and went to paper heaven. Wall after wall were adorned with handmade paper, printed paper, metallic paper, chart paper, corrugated paper, translucent sheets of paper and more. The rates depend on the paper and can be for INR 15 and goes upwards. There are plenty of other shops following this which have more varieties such as Panchshil Paper Co., T.K. Ruby & Co. and more. Leave the fear of paper cuts aside, and make your way to this street soon. We don’t blame for you not wanting to come back, ever.